Vlad and Misha two ten year old singing prodigies from Moscow who create and perform entertaining songs and videos for the younger set! In June 2013 two boys from Moscow who are both fans of the video game Minecraft, met each other while playing online. With parental permission they agreed to meet in the park to roller skate together. During that real life meeting they learned that their virtual names (Karalla and Mishgun) were actually Vlad and Misha. Even more interesting was the fact that the boys turned out to be the same age, both 10 years old and only two months apart. With the beginning of the new school year they soon learned that they were both about to enter the same grade only in different schools located in different parts of Moscow. At that first meeting they did not share the fact that they both attended music schools. Both boys were learning to play musical instruments Vlad learning accordion while Misha taking piano lessons. In addition to accordion lessons, Vlad is also enrolled in piano lessons, choir, and orchestra. 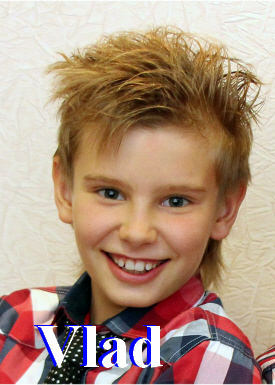 Vlad is described as being a lively child who is extremely active in school. He often is seated up front in his class so he will not be easily distracted. He is reported to be an excellent student taking his studies very seriously. He is an early riser waking up each morning at 7:30 a.m., extremely independent, preparing his own breakfast each morning before school. Vlad does not like tomato juice and tomatoes, but ironically loves gazpacho, a tomato based soup. He dislikes mushrooms but is very fond of cocoa and peach juice. Like most men he also enjoys meat and adores his Grandmother’s Russian borscht. 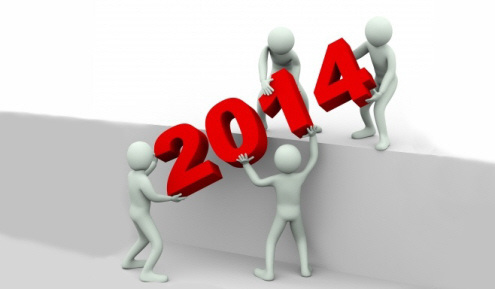 Here we are again at the end of another exciting year! 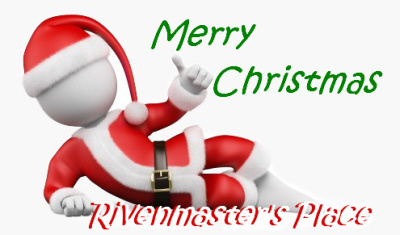 This is our fifth Christmas at Rivenmaster’s Place so we wanted to use this time to wish everyone a Blessed Christmas and Joyous New Year! It’s been another amazing year with the introduction of 39 new artists to the site and many exclusive updates from our regular featured guests. The website literally featured hundreds of new videos over the year, sometimes updated daily with newly released singles. Once a week special recognition was given to a deserving young artist with the presentation of the coveted Video of the Week Award! Radio Personality “Bruce Owens” presented us with new Radio Interviews which were added to the Radio Interview Page, and a very special new website created by Day Six called The Why of Music was recently added to our main menu! Updates to the website’s included a new menu page and the creation of a New Page featuring links to all the young artists on the site. This year a number of artists enjoyed big success with the advancement of their careers to include signing with new management or award winning producers. Others also made big strides by increasing their YouTube presence through the extra publicity and support provided by this site.